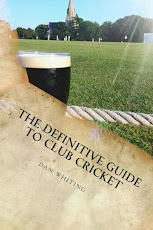 Regular readers of these pages will realise that I tipped Essex to just about stay up. It's better than most - many pundits tipped them to go down. For years, they had been such drifters in Division Two that it would be no surprise to see Ronnie Irani and Co in a four piece, dressed in their suits singing "Sweets for my Sweet". So how did they win the title then? How did they overpower the likes of Middlesex, Yorkshire, Surrey and the powers that be? Surely money talks in sport these days doesn't it? That's the beauty of this Essex victory. The answer lies in key aspects of recruitment fused with home grown talent, masterminded by two chaps from either sides of the Pennines in Chris Silverwood and Ronnie Irani. Irani came in and made some tough calls, For years, his biggest call would be what time he would set his alarm to do the breakfast show on Talksport with Alan Brazil but he came in and realised that the future would be to nurture the home grown talent that the county have. He let go some of the senior players, some popular with the Chelmsford support and gave the likes of Dan Lawrence, Tom Westley, Kishen Velani and Sam Cook a chance. There were some tough calls made but they have borne fruit, Silverwood could well be destined for international roles in the future, that good is his reputation. The production line from Yorkshire to Essex has proved profitable in recent years with Paul Grayson and Darren Gough having been involved with both counties. Silvers has been pure gold, as one Essex fan tweeted this week. The trump card in the Essex pack though was Jamie Porter. Working in recruitment a few years ago, the 24 year old swapped cold calls for ice baths and was a revelation this year. Maybe Porter had used his office skills to help Irani recruit Amir, Harmer and Co? Porter is from North East London where the cricket is ultra competitive. A look at the likes of Wanstead, Buckhurst Hill, Chingford, Ilford, Hainault and Clayhall at club level and these sides always do well in the National competition. Many of the Essex side have come through this route and it is no surprise that the tight knit nature of the squad and spirit has carried them through. Four of them were even born in the same maternity unit at Whipps Cross hospital. Of course having Alastair Cook available for most of the summer has helped. Any side with England's record run scorer in it, has half a chance. Throw in the brilliance of Mohammed Amir and you have two "worldies", as they say in this neck of the woods, opening the batting and bowling. Simon Harmer, a decent enough spinner from South Africa also picked up a plethora of wickets and added variety to the attack. James Foster, one of the finest glovemen in the country deserves his medal too and they were well led by Ryan Ten Doeschate. Varun Chopra, one of the prettiest county players through the off side (or the "posh side" as they say in Essex) returning to his original county was another masterstroke. Nick Browne churned out the runs yet again, as the applause rang out from Southend ot Colchester, whilst not forgetting the influence of Ravi Bopara. Harmer was one of the Kolpak players, that raised one or two eyebrows at the start of season. The groans from numerous cricket fans seeing sides play five or six non English qualified players were audible, yet Essex showed the way by mixing the likes of Harmer and Amir with home grown talent. They should be a beacon of light for those languishing in Division Two with a host of ageing Kolpaks picking up a pension and offering nothing to the national cause. If the voting of Essex Man was crucial in the 1987 election campaign then let's hope that the likes of Irani, Silverwood and the Essex Boys are crucial to the future of the County Championship and the make up of sides in the future. They all deserve their plaudits over the next few days and the old Hollywood's nightclub in Romford would have made a fortune if this win had been in 1987. 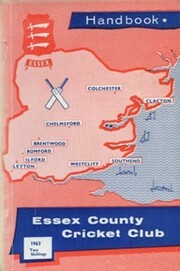 Essex were nomadic until settling on Chelmsford as a venue. A unique scoreboard on the side of a van would house the players kit, a regular sight driving up and down the A12 whilst the likes of "Johnny Won't Hit Today" Douglas and Barnacle Bailey would grind out scores at the likes of Leyton. They only won their first trophy in 1979 and the reputation as hard drinking lunatics; Brian Hardie even had the nickname "Lager". They have provided numerous players to the national cause and in Doug Insole, who sadly passed away earlier this year, numerous roles behind the scenes of the England side. Many of the players and supporters have dedicated this win to Doug. The tight knit nature of Essex has always been there but in recent years it had disappeared - a county drifting nowhere and had lost a little of its identity. Ronnie and Silvers deserve much credit for getting that back. If Essex can win the title, it gives hope to all cricket fans, even those sides in Division Two and shows that sport is not all about how much money you have. To misquote Bumble..."Start the Capri". Well done Essex. Anything I see on internet related to cricket I get a lot of interest on that, plus there is very little news we see on internet related to cricket these days.